The Berlin DLC for Shadowrun Returns has been delayed until early next year so Harebrained Schemes can build it into something closer in size and scope to the original campaign. 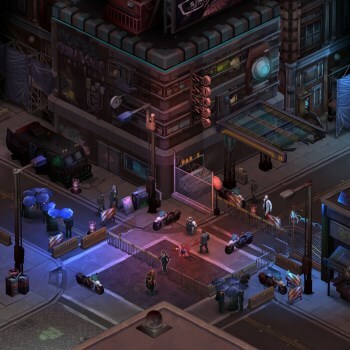 Harebrained Schemes announced earlier this month that Berlin, the first DLC release for Shadowrun Returns, was expected to be ready to go by late October. That plan has now changed, but for a pretty good reason. "Our original plan called for a modest-sized campaign that we could ship by the end of October. However, after listening to your forum discussions and feedback, it became clear that you would like to see something bigger (and so would we)," the studio wrote in its latest Kickstarter update. "We've decided to spend more time on Berlin to create an experience closer to the size of [original campaign] Dead Man's Switch. A story of that scope will take longer, so we're targeting January for its release." The studio said the "key ideas" behind Berlin include a more flexible main story arc, more depth to NPCs, the addition of new weapons, outfits, portraits, music and enemies (including magical creatures), and improved "Physical Adept" gameplay. The expansion will take place in a European city (Berlin, one would assume) with a "very different look, 'vibe' and cast of characters," and highlight the "compelling themes" of the Shadowrun: Germany sourcebook. And of course anyone who has Berlin installed will have access to all the new content in the Shadowrun Returns editor. Harebrained said it's also looking at revamping the save system to allow players to save in the middle of scenes but noted that doing so "would involve major changes to the core infrastructure of the game," so it may not be possible.